The issue of how we experience racism in Ireland has changed, as our demographic has changed. Some 20 years ago, just 1pc of people living here were from outside Ireland, now that figure has increased to 15pc. This poses challenges of integration and challenges of racism. In Britain, in the 1970s and 1980s, players such as Cyrille Regis, John Barnes and Laurie Cunningham had to run the gauntlet of racism every week in terms of monkey chants in stadiums. It was so perverse, it seemed like nothing could be done about it. They had to introduce legislation that was specific to the sport of football. They introduced anti-hooligan legislation. 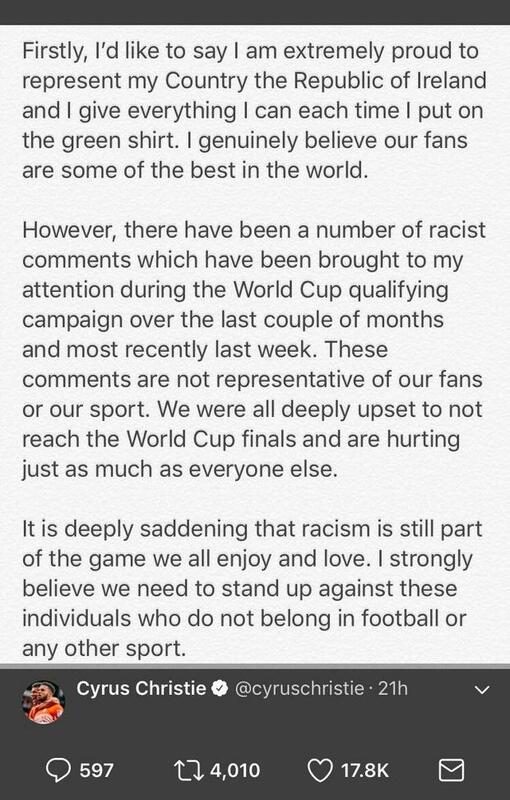 Football in England has become more multicultural so racism in the stadium became unacceptable. They were able to tackle racism in the stands, but people still hold these beliefs. Now the racists take to social media and the nature of that media can be toxic. In Ireland, the Government has not been that attuned to keeping an eye out for it. We don't have legislation on racism. Cyrus Christie's statement on the abuse he got. Social media companies have to take responsibility. Newspapers wouldn't get away with allowing people to publish the sort of racist abuse that we see, so why are social media websites allowing them to do it? They will point to massive userbases, but they have significant resources. They should be able to do something. There have been a number of cases prosecuted in England for abuse on social media, but I'm unaware of any cases in Ireland, so maybe the racists feel like they can get away with it. 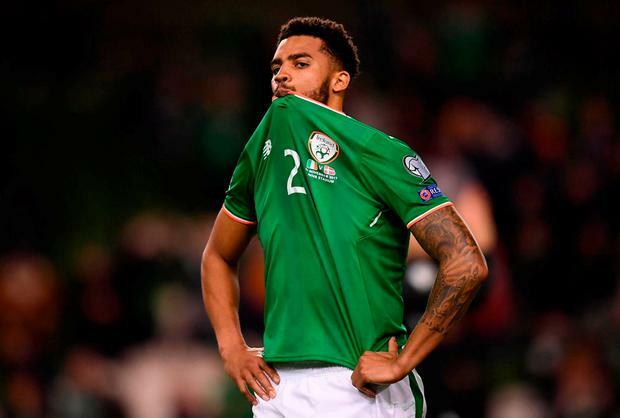 In the Cyrus Christie case, the content of those tweets was threatening, abusive and insulting. 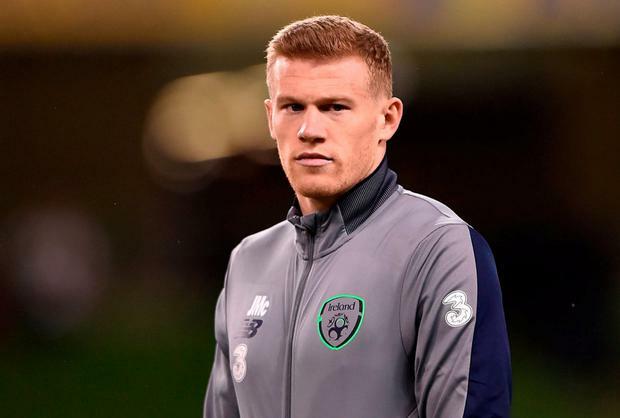 The comments by James McClean and his teammates, speaking out against the abuse, are as important as what any reporting procedure can deliver. The support peers can give is critical. Legislation that takes racism into account in terms of sentencing, making it an aggravating factor, would help. But education is vital. They don't necessarily see the damage that these comments can do.